Gert Schoonbee, MD of T-Systems SA. Under-fire German-based IT company T-Systems SA says it is not a Gupta company. This after the company's name has been dragged into the #GuptaLeaks scandal, which showed several big companies helped Gupta entities to secure lucrative government deals. Media reports have questioned how the company clinched multibillion-rand deals with state-owned companies like Transnet and Eskom, with indications there may have been shady dealings with unscrupulous business associates linked to the Guptas. On the Transnet contract, which T-Systems values at R1.5 billion, a News24 article this week alleged the value of the contract awarded to T-Systems "ballooned from just under R1.7 billion to nearly R3 billion after known Gupta associate - Salim Essa - allegedly became a backchannel 'negotiator' for the German multinational". It adds that former Eskom CFO Anoj Singh allegedly played a key role in Transnet's decision to extend T-Systems' contract instead of putting it out to tender. According to the report, T-Systems' initial five-year contract to supply Transnet with IT data services was supposed to have come to an end in 2014. However, the contract was extended for a period of two years, a decision that earned the company nearly R1.3 billion in additional revenue. Last week, ex-Eskom bosses were grilled in Parliament over the "overpriced" R1 billion IT tender that Eskom awarded to T-Systems two years ago. Responding to the allegations, Gert Schoonbee, MD of T-Systems SA, told ITWeb that Transnet "lawfully extended our five-year contract by two years. This was outlined in the original 2010 contract." He explains the revenue of the Transnet deal increased during the two-year extension period because of a significant increase in scope and volume of work. "In addition to our original services, the increase in scope included a significant increase in volume growth," says Schoonbee. He argues that since 2015, utilisation of service such as storage, backup and server volumes increased month on month. According to Schoonbee, Transnet Engineering was the major operational division that on-boarded from November 2014. "Prior to this, we did not service Transnet Engineering; and Transnet Group work doubled from July 2014 to mid-2015 mainly based on disaster recovery requirements." 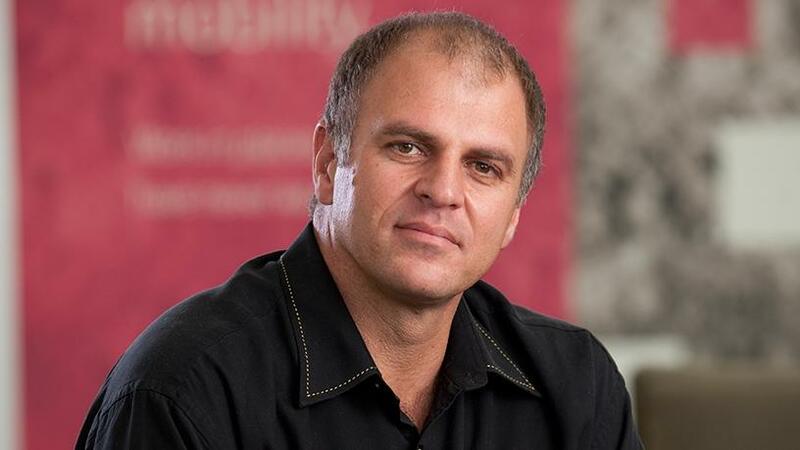 ITWeb probed Schoonbee about the nature of the relationship between T-Systems and Essa, a businessman best known for his links to the Gupta family, alongside which he stands accused of state capture. According to Schoonbee, Essa was never engaged as a T-Systems sales agent and no payments were ever made to him. He explains the controversial Essa was a director and one of the representatives of state-owned Broadband Infraco (BBI) at the time that T-Systems and BBI jointly responded as a public-private partnership to the Transnet Network deal in 2013/2014. "We were unsuccessful in this bid and ended up not working with Essa or BBI. We were not aware of the controversy around Essa at the time. This only came to light much later in media reports," he says. In the aftermath, Schoonbee says the T-Systems International Group Compliance Management team, in collaboration with the SA compliance team, performed an internal on-site review in 2015, triggered by the article that was published in the Mail & Guardian, dated 24 April 2015. A combined decision was taken between the International Group Compliance Management team and the SA management team to not engage Essa further based on a combination of internal compliance concerns and media allegations, he adds. Some of the Gupta-linked firms T-Systems worked with include BEE supplier Zestilor, owned by by Essa's wife Zeenat Osmany; ICT solutions provider, Sechaba; and consultancy firm, Global Softech Solutions (GSS). "T-Systems started working with Sechaba in 2011 through a 'body shopping' contract and the relationship developed over time. At the time of entering into contracts with Sechaba, T-Systems was not aware of the allegations raised in the media," says Schoonbee. He says Sechaba was an established ICT provider that worked with many other multinational IT companies, adding that supplier contracts were in place with Sechaba for various services being rendered in line with the contracts. "Earlier this year, we instructed a leading law firm, Bowmans, to conduct a comprehensive and independent investigation into the conduct of our supplier development companies. "This was in response to new information that had come to light through the media and in other published reports. We had also increased our due diligence of all our suppliers, including Sechaba." Schoonbee notes Bowmans' investigation, which was finalised on 13 October 2017, did not identify any evidence that T-Systems directly or indirectly made any irregular payments, nor directly or indirectly requested any other individual or entity to make any irregular payment on its behalf. "Sechaba participated in the Bowmans investigation. Based on compliance risk, it was decided by both parties to separate all ties, and all contracts with Sechaba were terminated." The German multinational also cancelled the GSS and Zestilor contracts on 17 August 2017. "T-Systems is not a Gupta company; however, the negative associations are damaging our brand and reputation. In spite of this, our employees continue to perform well. We have also received support from our customers and other stakeholders," Schoonbee says. Meanwhile, a court showdown is looming after Transnet CEO Siyabonga Gama launched a court application to set aside the board's decision to award a R1.5 billion tender to T-Systems. T-Systems will challenge this in court. The company says in early 2016, it participated in a Transnet RFP through an open tender process and submitted its response on 19 January 2016. "In March 2017, we received a 'letter of intent' from Transnet indicating that we were the preferred bidder and that Transnet wanted to start contract finalisation, and despite various attempts by T-Systems to engage with Transnet, contract negotiations were never concluded," says Schoonbee. "Our lawyers were granted access to the Transnet decision documents through the Public Access to Information Act. These highlighted concerns within Transnet itself on the bid process that was followed." He points out that after various delays and engagements between the various bidders and Transnet, an extension was requested by Transnet to delay the award beyond December 2016 to enable it to finalise the RFP. "The concerns led to a dispute that will now have to be settled in court. T-Systems did not cause the dispute, and actively engaged with Transnet to finalise the contract."